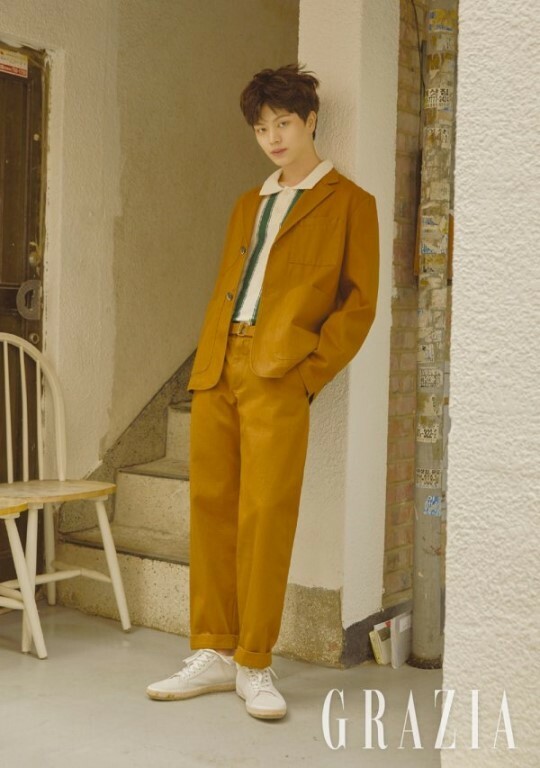 BTOB's Sungjae shared which person remains the most memorable teacher from his variety show, 'The Butlers'. 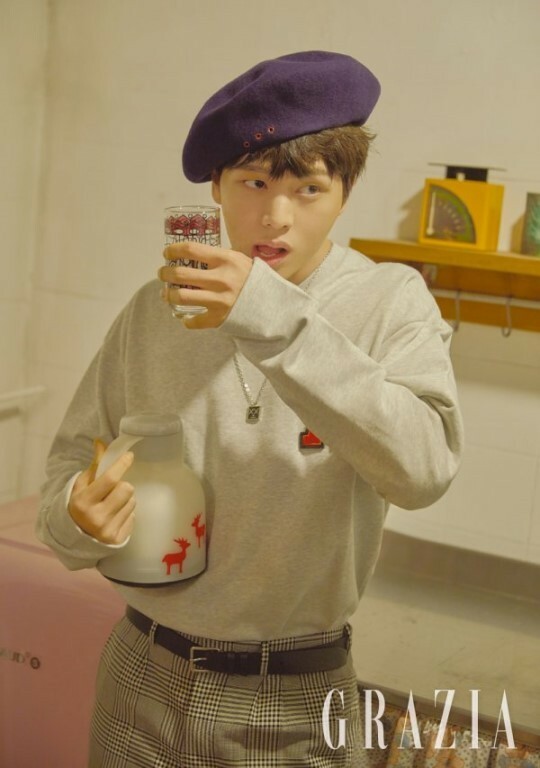 Fashion magazine 'Grazia' recently collaborated with Sungjae under the concept of 'Sungjae's Day', allowing the BTOB member to get comfortable in a bed, taking a sip of his drink, and more. On this day, Sungjae revealed that through 'The Butlers', he has been growing as a person as he spent time with several teachers such as Choi Bool Ahm, Yoon Yeo Jung, and more. He shared, "It's a huge honor for me to meet such teachers who are very hard for me to approach. I'm learning a lot as I spend each day with the teachers. As the program continues, I think I'm growing in terms of basic manners, character, and how I treat elders." Out of all the teachers he had the opportunity to interact with, he chose Jeon In Kwon as the teacher who remains the strongest in his memory. "The phrase 'Do your thing. If you do, your time will come' is still deeply embedded in my heart. I realized I don't need to be impatient just because my time hasn't come yet." 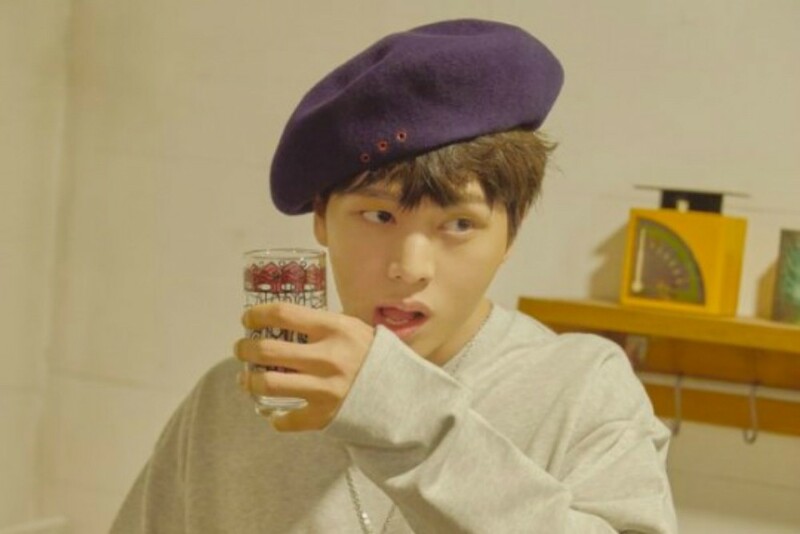 Lastly, Sungjae revealed that he is writing and composing his own songs, as well. "I've been producing/writing very hard lately. Even if it's not in the format of an album, I would like to release a self-composed song of mine. I think it's a chance for me to show people what kind of music I write and want to pursue," he said.